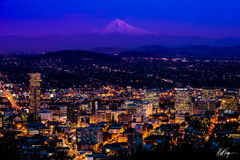 The Portland, Oregon skyline as seen from the famous Pittock Mansion on a rare clear late autumn night just after sunset. This photo was taken on my very first trip to the city prior to moving there just a month later. You can say that this photo helped me fall in love with Portland. 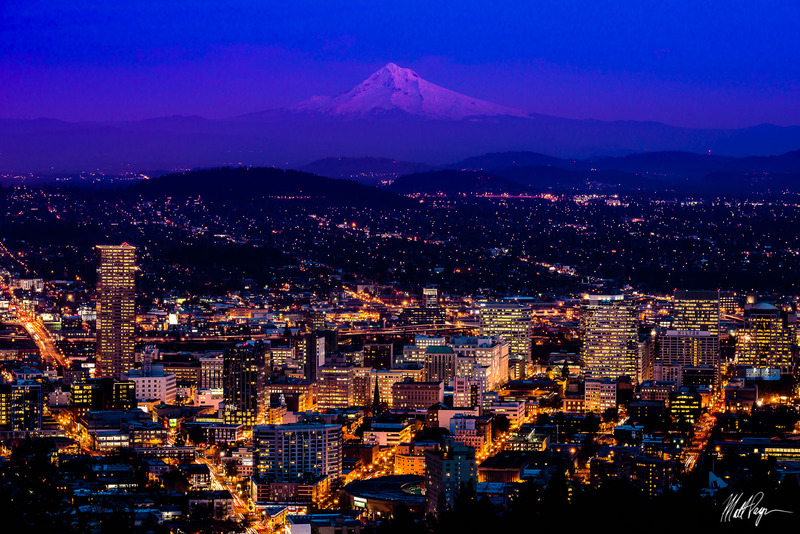 The glowing city lights contrast beautifully with the late evening alpenglow of Mount Hood to the east.